The port of Antwerp is to make its know-how and expertise available to further professionalise the management of ports in Brazil. It will do this by among other things providing a special series of seminars in two already active training centres for maritime professionals in Brazil. The initiative is laid down in a Memorandum of Understanding that was signed on Tuesday this week by Marc Van Peel with among others Maurício Quintella, the Brazilian minister of Transport, Ports and Civil Aviation. APM Terminals Pecém reported a 19% annual increase in container handling volumes as the gateway port to northeast Brazil. APM Terminals Pecém, which is the container operator at the Port of Pecém which is managed by the state-owned company CIPP (former Cearaportos), handled 130,008 moves (213,951 TEUs – twenty-foot equivalent units) in 2017 a new volume record. Daniel Rose, Managing Director of APM Terminals Pecém said “We have been working closely with our shipping line customers and our landside customers to ensure they had the port service levels needed to grow their business. The CMA CGM group, a world leader in container shipping, announces the reshuffling of two services in addition to the MERCOSUL buyout project and pursues its development strategy in South America, with SAFRAN and SIRIUS. These two services between South America and Europe are: SAFRAN for Northern Europe and SIRIUS for the Mediterranean. SAFRAN will be starting in Rotterdam on September 27, 2017. With this service, the CMA CGM Group offers the fastest service on the trade to its customers. Following its move to acquire MERCOSUL from Maersk Line, the CMA CGM group has furthered its development strategy in South America by reshuffling its container shipping services between the East Coast of South America and Europe with North of Europe and the Mediterranean. SAFRAN will start in Rotterdam on September 27, 2017, calling at the ports of Rotterdam / London / Hamburg / Antwerp / Le Havre / Algeciras / Santos / Paranagua / Buenos Aires / Montevideo / Itapoa / Paranagua / Santos / Pecem / Tangier. Brazil grains exporters group Anec on Thursday said it will send an official communication to foreign buyers saying that protests by truck drivers in the country might delay grain loading operations at Brazilian ports. Anec's director Sergio Mendes said protests against high diesel prices have impacted the flow of grains particularly in Mato Grosso, Brazil's top producing state. The demonstrations entered a third day on Thursday and have spread to other states such as Rio Grande do Sul and Paraná, local media reported. French container shipping major CMA CGM has upgraded its SEAS1 and SEAS2 services, now providing two departures per week between Asia and the East Coast of South America. The group will thus provide two departures per week between Asia and the East Coast of South America, one of the best offers on the market. They will offer optimum port coverage across Asia (Northern, Central and Southern Chinan and South Korea and South East Asia) and South America (Brazil, Argentina, Uruguay, Paraguay). President Barack Obama signed into law the Water Resources and Development Act (WRDA) of 2016, authorizing the Brownsville Ship Channel deepening project, making it eligible for federal funding, as announced by the Port of Brownsville. The Brazos Island Harbor Channel Improvement Project was one of 28 water infrastructure projects nationwide included in the WRDA and submitted by the U.S. Army Corps of Engineers (USACE) to Congress for approval. The project calls for the Port of Brownsville channel to be deepened to 52 feet from its current design depth of 42 feet. Mitsui O.S.K. Lines (MOL, President & CEO: Junichiro Ikeda) today announced the enhancement of its Asia and East Coast South America trade by merging existing CSW and SW2 services to form a new CSW service. The existing CSW and SW2 services, which are operated jointly by MOL, Maersk Line (ML) and Mediterranean Shipping Company (MSC), will be merged into a new enhanced CSW service to strengthen the coverage between the major trading hub of Asia and key ports in the east coast of South America. Mr Antonio Cachapuz de Medeiros was elected today at a Special Meeting of States Parties to the United Nations Convention on the Law of the Sea in New York. The meeting was held to fill the vacancy created by the resignation of Judge Vicente Marotta Range (Brazil) on 18 May 2015. predecessor's nine-year term, which expires on 30 September 2017. Mr Cachapuz de Medeiros has been Legal Advisor to the Ministry of External Relations of Brazil since 1998, heading diplomatic delegations to over 40 international conferences and bilateral meetings. A consortium of Japanese shipyards decided to sell its stake of Ecovix, which controls the Rio Grande Shipyard, reports Reuters. Mitsubishi Heavy Industries, four other shipbuilders said in October 2013 acquired 30% of Ecovix-Engevix Construcoes Oceanicas in a deal reportedly worth some 30 billion yen (about $305 million at the time). In addition to MHI, the Japanese group includes Mitsubishi Co and the Imabari, Namura and Oshima Shipbuilding companies. Mitsubishi Heavy owns about half of the stake, bought through a special-purpose company. Fugro has announced Joseph P. Linck, Jr. has joined Fugro as a Senior Consultant to represent our business development efforts in South Texas and in particular the Rio Grande Valley and the Corpus Christi areas. Linck brings to the position more than 30 years of professional experience, having served as past port director of the Port of Brownsville. After serving as port director, he designed, built and operated a dry bulk maritime terminal in Brownsville and later sold the terminal to a Fortune 300 corporation. With the aim to improve efficiency and quality of the service offered to you, Hapag-Lloyd is pleased to advise some important changes to the GS1 service. MSC will join the service as a vessel operator providing one vessel. The total fleet size remains at eight 5500 TEU vessels with NYK operating one vessel and Hapag-Lloyd providing six vessels. Port of Suape, Brazil will be removed. Port of Sepetiba, Brazil will replace the port of Rio De Janeiro. Electromagnetic Geoservices ASA (EMGS) releases information on vessel activity and utilisation 4-5 working days after the close of each quarter. The Company defines "vessel utilisation" as the percentage of the vessel charter period spent on contracted or multi-client data acquisition. Vessel utilisation for the fourth quarter 2014 came in at 63% compared with 50% for the fourth quarter 2013. In the fourth quarter of 2014, the Company's vessels were allocated 39% to contract and 24% to multi-client programmes. Electromagnetic Geoservices ASA (EMGS) has received a contract worth USD 1.5 million for a research project in Brazil. The project will use 3D EM data to map shallow gas hydrates in the Pelotas Basin. The project is a collaboration between the Pontifical Catholic University (PUCRS) of Rio Grande do Sul and Petrobras' Research and Development Center called CENPES. EMGS will support each stage in the workflow, from survey design and data acquisition to processing and interpretation. On March 27 and 28, HAROPA-Port du Havre accommodated the Cap San Lorenzo, a container vessel of 9,600 TEU delivered by Hyundai to the German shipping company Hamburg-Süd. Being the fourth of a series of six vessels of the Cap San class, the Cap San Lorenzo has a reefer capacity of 2,100 plugs on board and 9,600 TEU, which makes that the vessels are the biggest refrigerated containerships in the world. With a length of 333.2 meters, the Cap San Lorenzo has the particular feature of being proportionally very broad (48.2 meters). Brazil’s Petrobras has been one of the leading players in deepwater, subsea development projects since the turn of the century. These projects include pre-salt and post-salt plays, which require extensive and complex subsea engineering and construction efforts. It would be impossible for Petrobras to develop all of its projects alone, therefore much is done by specialized companies, mostly of foreign origin. “We could not have advanced in this project (pre-salt) conventionally, developing the production individually. Two weeks before the doors open at Europort, Rotterdam, organizer Ahoy is finalizing arrangements for the event that promises to provide a benchmark for the “state of the global maritime and offshore industry” in late 2013. Alongside attendees at its Advanced Technology Conferences industry seminars and networking opportunities, over 1,000 exhibitors will be present at Europort 2013, which takes place November 5-8 at Ahoy Rotterdam. This year, companies from 39 countries will participate, with international organizations accounting for 45% of all exhibitors. Since the beginning of this year, orders have been placed for 17 floating production systems. The combined value of the fabrication contracts exceeds $16 billion. By year end there will likely be another five to eight contracts awarded and the overall contract value for the year will exceed $20 billion. Stated in terms of conventional ships, fabrication of floating production systems in 2013 will equate to orders for 220 VLCCs, 360 Suezmax tankers or 800 Panamax bulk carriers. In other words, it is a big market. Yet relatively few shipbuilders are active in this sector. 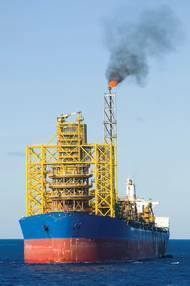 Petrobas's FPSO P-63 has left the Quip/Honório Bicalho shipyard in the city of Rio Grande (RS) after the modules were integrated and the platform commissioned. With a capacity to process 140,000 barrels of oil/day and compress one million m3 of gas /day, the unit is going to the Papa-Terra field in the post-salt Campos Basin, operated by Petrobras (62.5%) in partnership with Chevron (37.5%). The P-63 was converted into an FPSO from the tanker BW Nisa, at the Cosco Shipyard in China. The unit arrived in Brazil in January this year for its final construction stages. Crowley Maritime Corporation awards 17-year-old Coraly Lopez Ortiz its 2012 Thomas B. Crowley Sr. Memorial Scholarship. Coraly Lopez Ortiz, has begun her first year of college at University of Puerto Rico (UPR), thanks in part to the support of Crowley Maritime Corporation. Her parents' medical ailments have kept them from working since 2010, but her strong academic record and commitment to pursuing an education despite tough financial circumstances have prevailed with the help of the scholarship. Konecranes' Goliath gantry crane for Engevix Construções Oceânicas (‘Ecovix’) arrives at Rio Grande do Sul in southern Brazil. With a combination lifting capacity of 2,000 tons and rail span of 210 meters, the crane is the biggest Goliath gantry crane in the world. The crane will be used initially to assemble eight hulls of Floating Production Storage and Offloading (FPSO) ships that will be used for offshore oil production projects. Construction of the crane components began in October 2011, in Finland and South Korea. Changing of the Guard at Tidewater Inc.
Dean Taylor bid farewell to his post as Tidewater Inc.'s chief executive officer on May 31, following a prosperous, far-flung career of 34 years at the New Orleans-based company. Chief Operating Officer Jeff Platt, who has worked side by side with Taylor for fifteen years, took the helm. 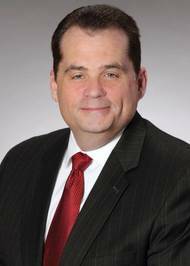 And Jeff Gorski was named the new COO. In his decade as chief, Taylor guided Tidewater's fleet expansion. The company has poured hundreds of millions of dollars yearly into an energetic building-and-acquisition effort.